What can you tell us about your new release, Motorbikes and Camels? It’s a novel about diverse characters on the dual spectrum: liberals and conservatives; the religious and the spiritual; males and females; gays and heterosexuals; you and me. There are thirteen protagonists, one per chapter, each representing one aspect of duality, and in some cases, a blend of both. The tales intertwine at times. More than anything, the stories give the reader an inside peek of a society steeped in dogma. The dictator in my head. I had no choice but to get out of the way and listen to its incessant voice that would not let me be until I manifested words on paper (or, in this case, the screen). Homegoing (Yaa Gyasi); An American Marriage (Tayari Jones); Chicago (Alaa Al-Aswany); Sons and Lovers (D.H. Lawrence); and Slaughterhouse Five (Kurt Vonnegut Jr.). I would invite a censor official to my show, and ask why freedom of expression is so threatening. In a region where writing is guarded, it makes my day that though there is discrimination against the LGBTQ+ community, apostates, and so-called unbelievers, I can create a world without discrimination. I work at a library, then go home and read most days. Reading is a choice; writing isn’t. So when I don’t have a choice, a typical day involves writing or editing. During time off, I will venture out to support the burgeoning local culture scene when the mood strikes me. 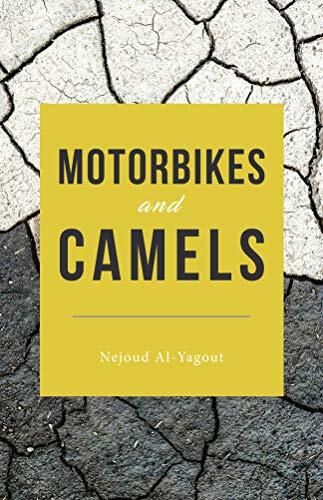 What scene in Motorbikes and Camels was your favorite to write? A conversation between the gay protagonist and his lover regarding ideological intolerance. In my country, the word gay is not mentioned publicly, let alone written about, so I felt elated that I didn’t self-censor myself because of fear. Coexistence drives me. We have mosques in every corner in Kuwait, a handful of churches and nothing else (as mentioned in the novel); and thus, my philosophy is coexistence. I see it. And clearly.